The definitive New York movie, and one of the few to successfully integrate rock music into the structure of film: watch Keitel waking to the sound of the Ronettes, or De Niro dancing solo in the street to 'Mickey's Monkey'. 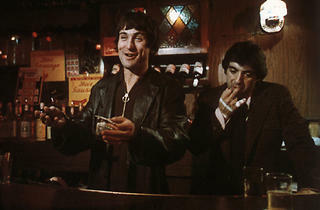 Mean Streets is also pure Italian-American. Charlie (Keitel), a punk on the fringes of 'respectable' organised crime, ponders his adolescent confusions and loyalties. 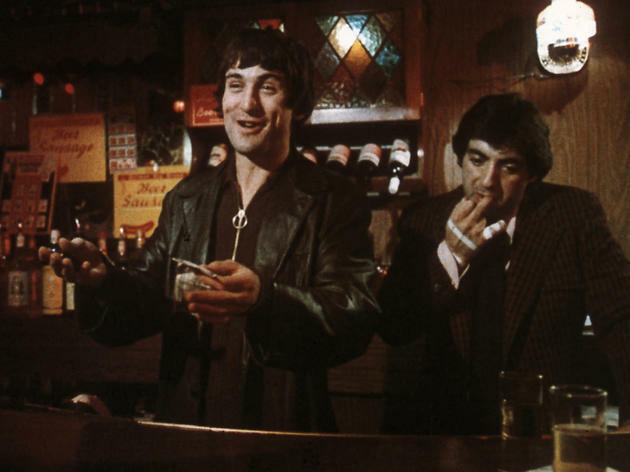 Beneath the swagger, he's embarrassed by his work, his religion, and by women and his friends, particularly Johnny Boy (De Niro), who owes everyone money. Scorsese directs with a breathless, head-on energy which infuses the performances, the sharp fast talk, the noise, neon and violence with a charge of adrenalin. One of the best American films of the decade.